Distributed systems have become more fine-grained in the past 10 years, shifting from code-heavy monolithic applications to smaller, self-contained microservices. But developing these systems brings its own set of headaches. 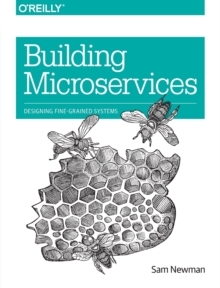 With lots of examples and practical advice, this book takes a holistic view of the topics that system architects and administrators must consider when building, managing, and evolving microservice architectures. Microservice technologies are moving quickly. Author Sam Newman provides you with a firm grounding in the concepts while diving into current solutions for modeling, integrating, testing, deploying, and monitoring your own autonomous services.